This Affordable Wireless System Delivers Pro-quality Sound! 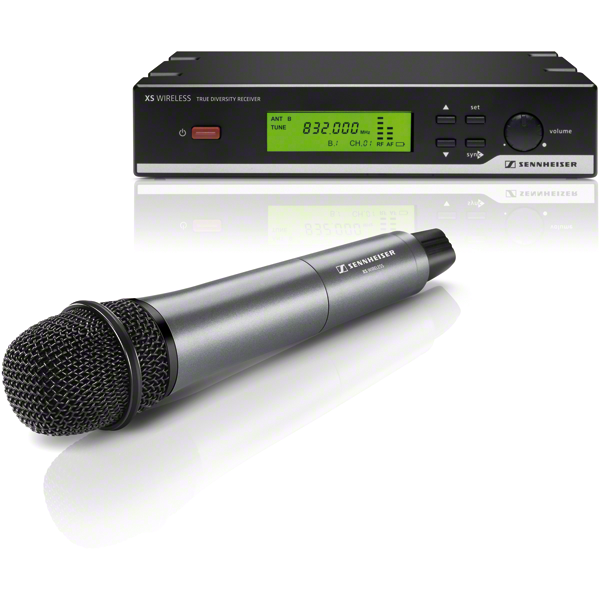 If you're looking for a great wireless handheld microphone system that won't break the bank, then check out Sennheiser's XSW 35. The XSW 35 comes with everything you need to ditch the cables and go totally wireless! It's the perfect system for small to midsize venues, churches, auditoriums - you name it! The XSW 35 comes with a handheld dynamic microphone with a built-in wireless transmitter. Its both an excellent mic for vocals and for speech, plus its cardioid pickup pattern does a great job blocking out stage noise. It also includes a true-diversity receiver that provides a rock-solid wireless connection at distances up to 250 feet. A total of 960 available frequencies in the 24MHz range gives you plenty of noise-free bandwidth to choose from. The Sennheiser XSW 35 system will even automatically find open channels for you, making it super-easy to set up. Thanks to its amazing 10-hour battery life (on just a couple of standard AA batteries), you never have to worry about swapping out batteries in the middle of your show. And as affordable as Sennheiser's XSW systems are, you can afford to take the whole band wireless! 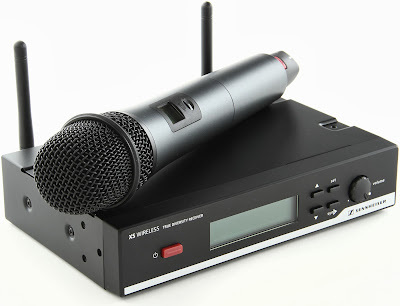 Order your XSW 35 and Sennheiser XSW wireless systems from KURNIA MUSIK SEMARANG today.